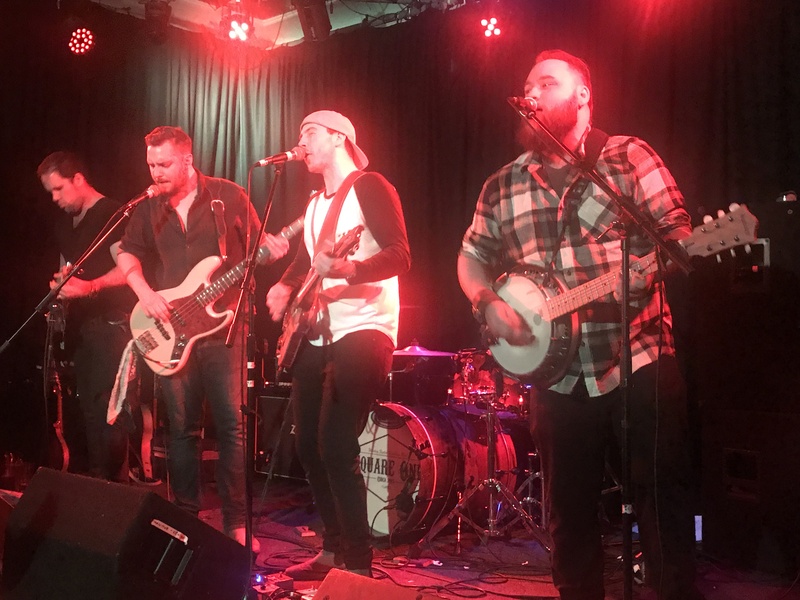 This was a storming performance by Square One as part of an Americana boy band double-bill with Backwards Creek. The fivesome kicked off with High And Dry which set the tone for the show. A heavy, stomping number with high energy and great playing. The banjoist striking Status Quo poses with the guitarist is not the norm you expect from an Americana band. 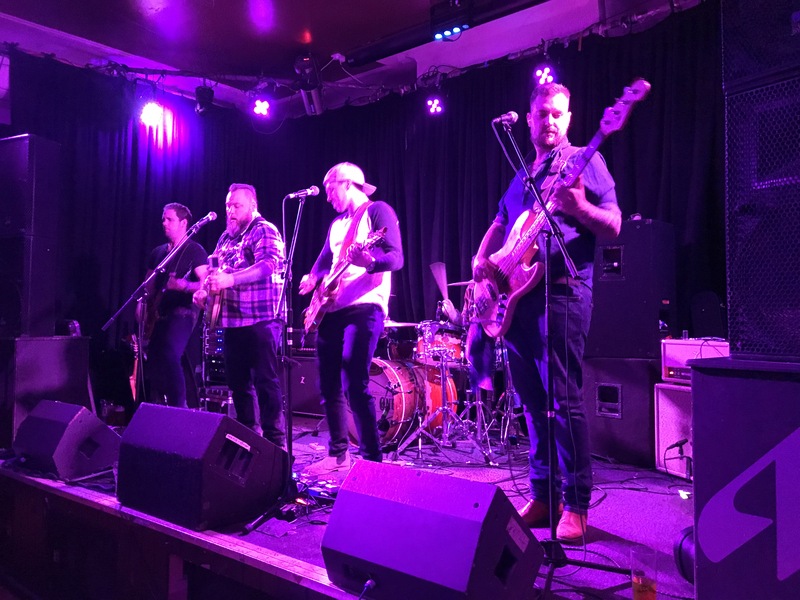 This was five guys, enjoying themselves immensely on stage, playing tracks from their debut album Southern Summer and thoroughly entertaining the crowd. Fire followed with the guitarist striking his own poses during a powerful solo, and straight into a new number, Redemption, complete with big backing vocals, big bass and drums and a big beat. The catchy Who We Are led into the crowd favourite Little Black Dress and a slightly slower tempo giving respite to the driving beat. More from the album followed, including the title track. This is a great debut album by the way. The country ballad Feels Like Home was more typical country rock with great harmonies and flowing well. All Night Long is the band’s next single, out in about a month, and rocks with a superb driving beat. Let’s Go from the group’s EP finished the set. A great show from a high energy, polished band.